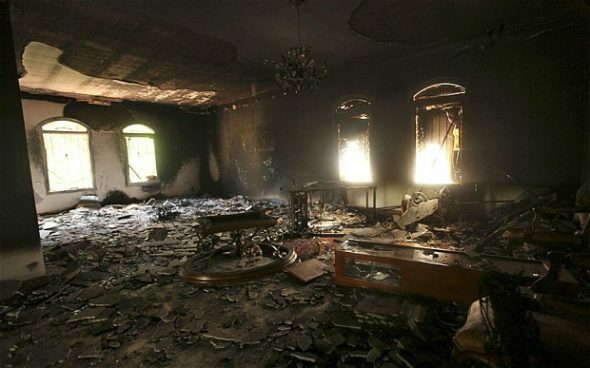 On September 11, 2012, Islamic terrorists attacked the U.S. diplomatic mission in Benghazi, Libya. Four Americans died during that attack: U.S. Ambassador Chris Stevens; information management officer Sean Smith; and two security officers who were former Navy SEALs, Tyrone Woods and Glen Doherty. The debate about what happened in Benghazi has become deeply political, as Republicans continue to challenge the White House’s actions during and after the attacks, which left four Americans, including U.S. 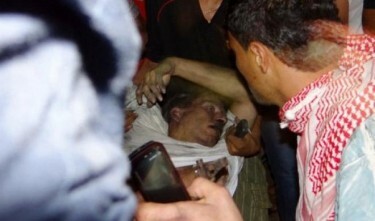 Ambassador Chris Stevens, dead. They say the response by the Obama administration has been questionable. The search for justice in the case of the murdered Americans in Benghazi is every bit as relevant and important as it is for the murdered Boston Marathon victims. But in the Benghazi case, the intensity of the attack was amplified by the failure of the U.S. government to protect our own people on the ground. What difference, at this point, does Benghazi make? [as asked by then-Secretary of State Hilary Clinton] Ask one of the thousands of State Department employees who work at one of the hundreds of U.S. embassies and consulates around the world if they think their security is still a relevant issue. Ask the victims who were targeted in those attacks how they feel about a government that left them to die. Except you can’t ask them. Because even more appalling than the government’s refusal to provide adequate security before the attack or to provide available resources during the attack is the failure to provide answers after the attack. Eight months after our own ambassador was murdered and we were told the cause was a YouTube video, we still can’t get a straight answer out of the Obama Administration. Repeated attempts by Congress to request the identities of the witnesses were ignored. Relevant documents – even unclassified ones – were withheld or subject to in-camera review. The State Department dragged its feet in providing a process by which brave witnesses could legally consult with attorneys. Names of hospitalized attack victims were changed by the State Department. All the while, the administration claims there is nothing to see here. Just last week (in May 2013), President Obama told the media he was “not familiar” with recent developments in the case, including allegations that witnesses were being intimidated from testifying. Benghazi matters. Not just because Americans were murdered. Not just because terrorists attacked a U.S. consulate. But because the White House and the State Department have engaged in misdirection at the highest levels to cover up whatever happened there. It’s not too late to learn the truth. Whether it takes eight months or eight years, we will keep pressing for answers until we know what happened. Americans (especially those who vote) should be aware of what’s happening in our government. U.S. Secretary of State John Kerry has agreed to testify before the House Oversight Committee on June 12 regarding Benghazi. Read the excerpt below and watch the video. Do you think the fact that college students don’t know anything about the controversy over Benghazi, or even know what Benghazi is at all, is caused by media bias? Explain your answer. 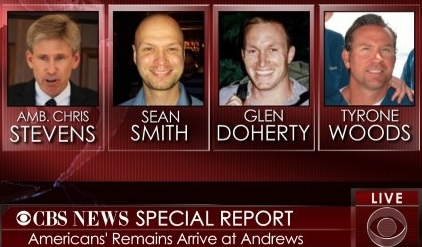 Four Americans were murdered during a terror attack at the U.S. Embassy in Benghazi, Lybia on September 11, 2012. U.S. Ambassador Chris Stevens was murdered, along with three other Americans, at the U.S. Embassy on September 11, 2012.